Righthanded reliever Alex Wilson, who made his debut on Thursday, is on the second major leaguer born in Saudi Arabia. His father, Jim, was a geologist in the natural gas industry and Alex spent the first year of his life there. Wilson’s family then moved to Louisiana and from there to Tennessee and West Virginia. 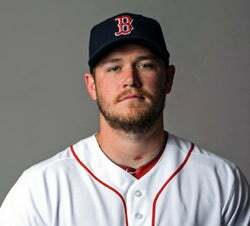 Wilson attended college in South Carolina (Winthrop) and Texas (Texas A&M) before being drafted by the Sox in 2009. He has since played in Massachusetts (Lowell), Virginia (Salem), Maine (Portland) and Rhode Island (Pawtucket). That’s nine states he has called home for at least a little while.